Crowdfunded craft beerRecord high crowdfunding executed independently without an external platform. “We want to be the next big thing in craft beer business – and we want you to be a part of it”.Fast growing craft brewery is very capital intensive. Constantly investing in new capacity and technology to keep up with the quality and quantity. We have found crowdfunding to be our way of funding the brewery. Bringing people with us and having a healthy financial structure at the same time. If you want to invest in your own brewery and to own your part of the growing craft beer community, this is for you. We are not just beer geeks but business geeks as well. When we asked 2016 from our 225 existing investors lately if they would invest more in growing Sori Brewing, 55,3 % said yes, 30,9 % said they might. That’s pretty good. Our investors gave us rating of 7,6 / 10 when it comes to investor communication. We are an independent brewery, we don’t let the big sharks bite and we have no plans of cashing out. Sori Brewing is not a public listed company, but there are no restrictions in selling the shares. We have great team behind Sori Brewing, along with business and brewing savvy founders we have an experienced Advisory Board for backup. We want to be the next big thing in the craft beer business – and we want you to be a part of it! 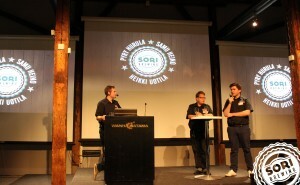 Sori Brewing is a Nordic craft beer brewery challenging the known beer world. We are not punks; we are even not that off-centered guys. We are ambitious beer loving Finns with a vision how to take craft beer to a next level. This is our dream job – and this is your dream investment! Our share issue is currently open in Finnish. If you are interested investing in Sori Brewing, your can contact us brewery@soribrewing.com. We have successfully raised 2014 453 200 EUR through an equity-based crowdfunding and the brewery is now in operation just as planned. Soon enough in 2015 it was clear that we needed to expand and we launched the second batch of shares for growing, where we raised over 470 000 EUR. If you are interested in further possibilities in investing Sori Brewing, we recommend you to subscribe to our newsletter below. Subscribe the letter, you will be the first to know. We will not spam, we just let you know when something is happening. Pyry’s has a financial background, industrial finance in Metsä Group and commodity finance in Helsinki Energy Company, Helen. He’s been always a part time marketing entrepreneur, doing everything from websites to graphic design and strategy. In Sori, Pyry is in charge of strategy and marketing, but also looks on to finance. He’s the man behind crowdfunding, visual look and all our social media. Big part of his job is to vision how to make Sori the next big thing in craft beer. Heikki’s previous life was all about online marketing, from Zalando to EuroAds. He started homebrewing a long time ago when he was in university, and that was where these guys met each other. He is constantly developing himself to know everything about brewing. Heikki is responsible of the daily operations. He is the problem solver, overseeing the production and planning ahead. Heikki is also doing Sori’s international sales and logistics. He’s the main man when it comes to creating recipes with brewers and making sure the quality is top notch. During the first share issue, we gathered an experienced team behind us, called Advisory Board. These business and craft beer professionals help us to pursue towards success in craft beer industry. 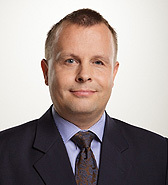 Janne Lihavainen is experienced in a retail sales sector. 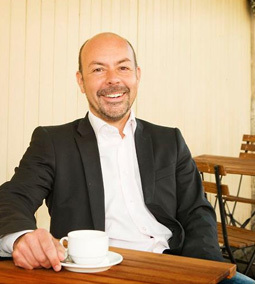 He is a man behind and the CEO of a big retail chain, Prisma Peremarket, in Estonia. He runs nine hypermarkets and is the superior for 1500 employees. 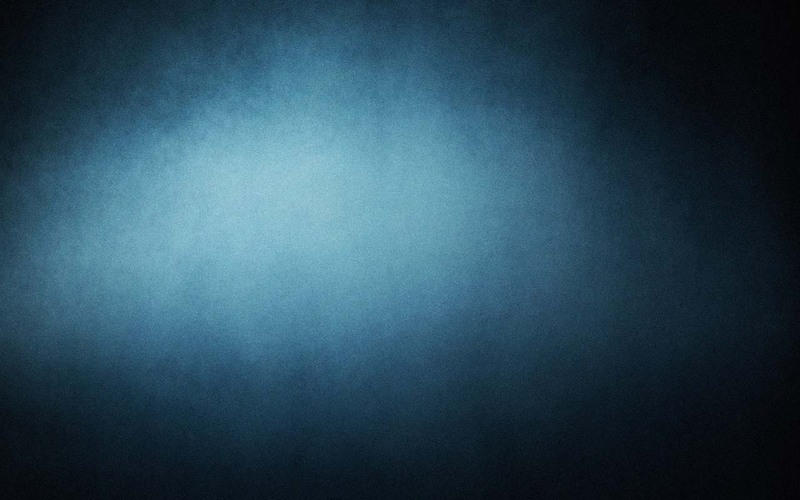 Janne’s background brings us insight view to the retail market and awesome connections. Among retail sales, he’s currently the chairman for GS1 in Estonia, which is the entity behind the worldwide usage of the barcode. Sami Lappalainen has a magic touch when it comes to creating successful restaurants. He’s been developing several success stories in the restaurant business. 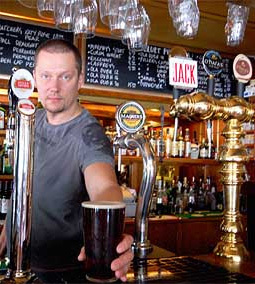 If you have ever been in Tampere, you probably sat in one of his Gastropub restaurants. Before the restaurant business, Sami was in the field of beer imports. Now he brings all the exciting beers of Europe to his restaurants and even visits all the breweries in person. Mirko Lännenpää is startup multi tatalent. He’s been a pioneer both in big chains and in small, international startups. He has previously worked in SOK and Pirkanmaan Osuuskauppa management. His specialty field is a new business development and management. Nowadays he runs an international Taplause startup, which mission is to crack the mystery of customer satisfaction. Arto Vallin brings analytical experience from the fields of industrial funding. 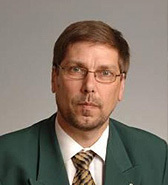 Arto worked as a researcher for Finnish Ministry of Employment and the Economy. He brings us an objective vision how to make a company grow steadily and using the right tools. Now Arto is the CEO for MiTek Oy, which is owned by Warren Buffet’s Berkshire Hathaway company. It’s a great place where you get to fulfill your dreams and make stuff happen. It is awesome that we got people as excited as we are and build this brewery with us. We are happy to welcome people join us, through collaboration or other ways, if you have some ideas ready. Don’t hesitate to contact us.